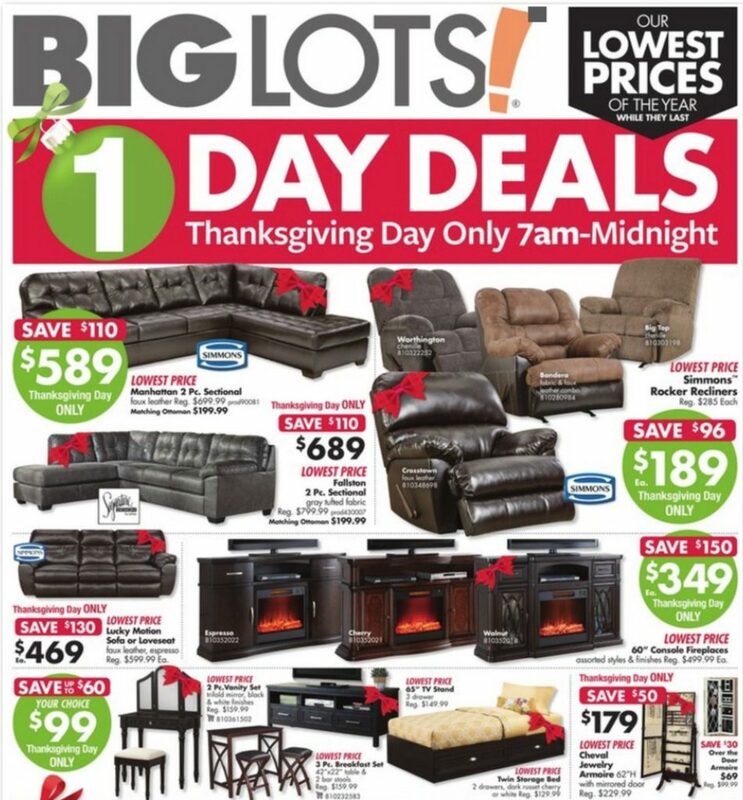 Stores will open at 7:00 AM on Thanksgiving Day and will continue until Midnight for a special 1-day sale! 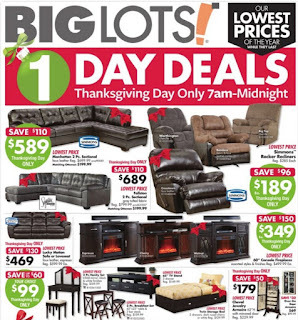 Big Lots will then reopen at 6:00 AM on Black Friday and at 8 AM on Saturday! You can start your wish list now by checking out the site first!